Eight familiar shapes are brightly coloured with bold outlines. 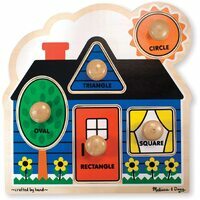 Extra thick wooden puzzle includes eight pieces, with jumbo wooden knobs for easy grasping. Full-colour, matching pictures appear underneath each piece. 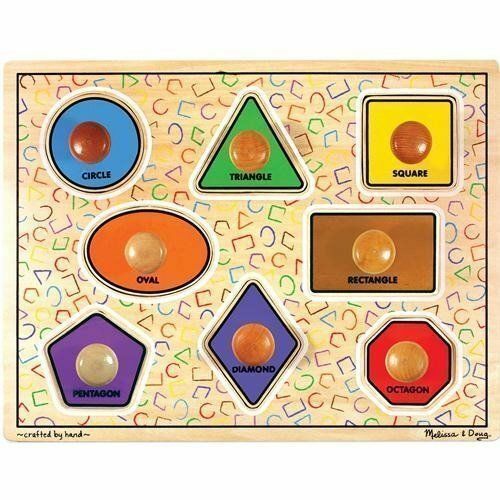 Encourage eye-hand, fine motor and visual perception skills. Product size: 39.5 x 30.5cm. Ages 12 months and older.